Time to announce my winners! I chose two winners. The BIG winner will get the whole set offered by my awesome bloggy friends. 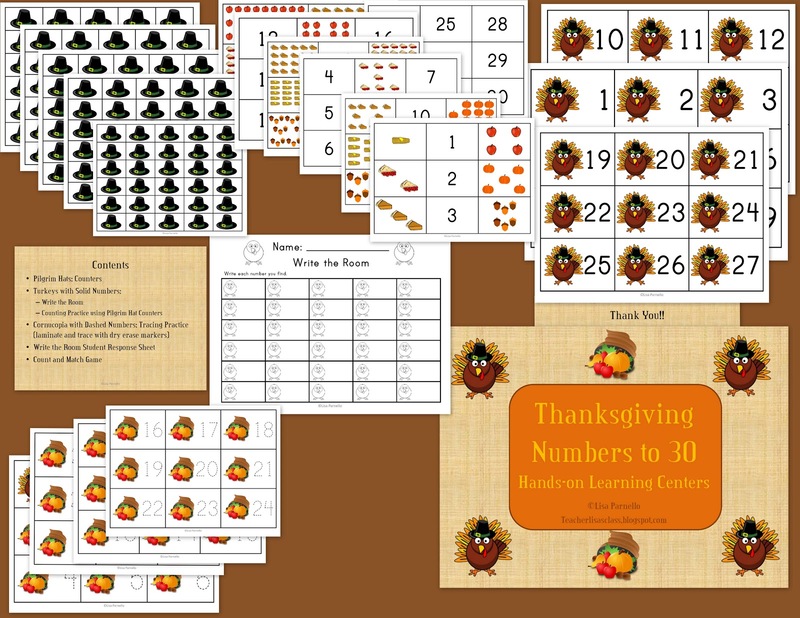 The second runner up won both my Thanksgiving math and literacy centers. Just in time for next week's festive short week! My items have already been sent to you. I'm contacting my blog buddies and they will email you the rest of your prizes shortly Gabrielle! The BIG winner is Gabrielle from Teaching Special Thinkers!! 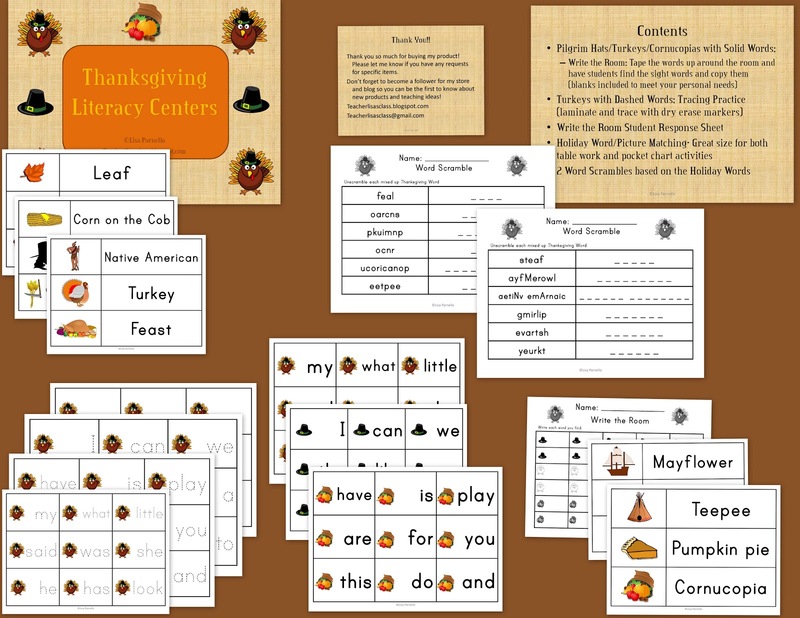 The second runner up is Lori R. who will get my super great centers activities. Congrats ladies!!! If you didn't win, just click the pics above to buy from my TPT store. 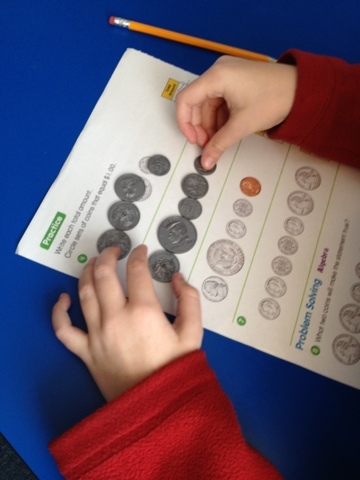 Take a peek at my students learning money in 1st/2nd using play money on top of their regular math work page. 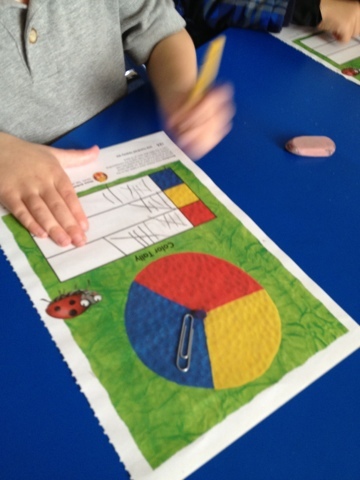 Plus my kinder kids were learning how to tally using paperclip spinners. 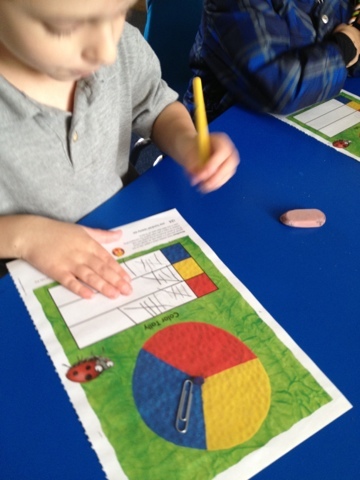 They were so engaged that they were cheering for their favorite colors. Super sweet!